Why aren't House Republican leaders even trying to repeal or sunset ObamaCare's essential health benefits requirements? Christopher Jacobs has a great piece up over at The Federalist highlighting how the advanceable, refundable tax credits proposed in House Republican leader's ObamaCare "alternative," the American Health Care Act, might wind up taking a Byrd bath in the Senate. He raises a good argument, but other aspects of the bill may also fall victim to the "Byrd rule." Before diving into this, here are the basics of budget reconciliation. Created by the Congressional Budget Act of 1974, budget reconciliation allows Congress to fast-track the passage of major fiscal policy with limited procedural hurdles. A reconciliation measure, for example, needs only a simple majority, or 51 votes, in the Senate for passage. It can’t be filibustered. Reconciliation can be used for legislation that changes mandatory spending, revenue, or the debt limit. The House prevents reconciliation legislation from creating a net increase in mandatory spending. In the Senate, recent rule changes allow reconciliation legislation that increased the budget deficit. The Senate allows for only three uses of reconciliation each year and limits its use to one per subject during a year. The process of reconciliation begins with the passage of a budget resolution that provides ten-year baseline budget figures and directs the committees of jurisdiction in both chambers to develop recommendations for changes in relevant law not to exceed a certain dollar amount. Committees are given a deadline to report their recommendations to the House and Senate budget committees, which reconciles the recommendations into legislative text. The process for the repeal and replacement of ObamaCare began with the passage of S.Con.Res. 3, the FY 2017 budget resolution. The resolution directed the House Ways and Means Committee and the House Energy and Commerce to have their recommendations submitted to the House Budget Committee on January 27. These committees didn't report their recommendations until March 8 and March 9. One hurdle for any piece of reconciliation legislation is the "Byrd rule." Named after former Sen. Robert Byrd (D-W.V. ), the Byrd rule allows senators to object via a point of order to provisions in budget reconciliation legislation that "extraneous," not germane to the subject or outside the committees of jurisdiction. The Senate parliamentarian determines whether the point of order is valid. The parliamentarian’s ruling can be overturned by a three-fifths, or 60-vote, majority. Sen. Ted Cruz's (R-Texas) former chief of staff, Chip Roy, has made a compelling case that Vice President Mike Pence could overrule the parliamentarian, Elizabeth MacDonough, if she makes an unfavorable ruling on a point of order. Among the extraneous provisions defined in 2 U.S. Code § 644 is "a provision of a reconciliation bill or reconciliation resolution...shall be considered extraneous if such provision does not produce a change in outlays or revenues." This has been used by House Republican leadership as an argument not to repeal, alter or sunset ObamaCare's "essential health benefits." On Thursday, Speaker Paul Ryan (R-Wis.) defended the approach House Republican leaders are are taking by not going after parts of the bill that could fall victim to the Byrd rule. "[T]here are folks who would love to see us put in this reconciliation bill all these other ideas. One conservative group is saying put shopping across state lines in this bill or else we're not going to support it," said Speaker Ryan. "If we did that, we wouldn't be able to pass this bill. It would be filibustered in the Senate. It wouldn't even come up for a vote." 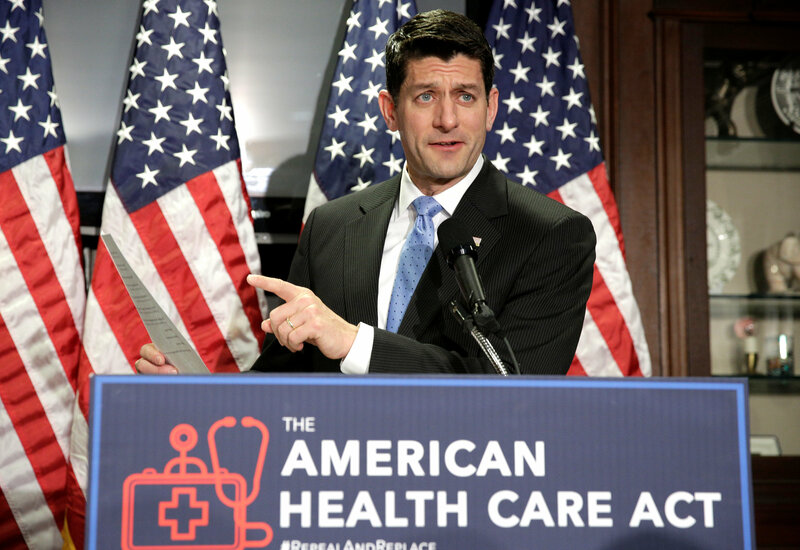 There are sections of the American Health Care Act that could fall victim to a Byrd rule point of order, making Speaker Ryan's argument for not adding in provisions conservatives want, like the buying and selling of insurance across state lines or repealing or sunsetting the essential health benefits, suspect. Bronze: These plans are required to pay 60 percent of all health care expenses. The remaining 40 percent are paid by the insured through deductibles, copayments, and coinsurance. Silver: These plans are required to pay 70 percent of all health care expenses. The remaining 30 percent are paid by the insured through deductibles, copayments, and coinsurance. Gold: These plans are required to pay 80 percent of all health care expenses. The remaining 20 percent are paid by the insured through deductibles, copayments, and coinsurance. Platinum: These plans are required to pay 90 percent of all health care expenses. The remaining 10 percent are paid by the insured through deductibles, copayments, and coinsurance. The AV standards would sunset beginning January 1, 2020. While this is a positive provision, how could it survive a Byrd rule challenge when the AV standards are a mandate on health insurers? Moreover, ObamaCare AV standards live in Section 1302, where the essential health benefits are defined. Why include a sunset of the AV standards but not sunset the essential health benefits? Separately, the Section 135 of the House Energy and Commerce Committee recommendations changes ObamaCare's age-rating from a 3-to-1 ratio to a 5-to-1 ratio. What this price control means is that under ObamaCare, a health insurer can charge only three times more than younger enrollees. The American Health Care Act would change it to five. Again, this is a private sector mandate. How can revisions to the age-rating be included but not the essential health benefits? The same could be said of Section 133, which allows health insurers to assess a 30 percent surcharge on top of base premiums for individuals who haven't maintained continuous coverage for more than 63 days. Unlike like ObamaCare's individual mandate, which is zeroed out but not repealed through the American Health Care Act, the coercive continuous coverage surcharge is paid to the health insurer. House Republican leadership's argument for not targeting ObamaCare's essential health benefits while going after other provisions of the 2010 law that could be scrapped under the Byrd rule doesn't make any sense. If House Republican leadership's argument is that the AV standards and age-rating have a direct impact on premiums and, by extension, the tax subsidies that are paid out by the federal government, wouldn't the same be true of the essential health benefits? These mandates also drive up the cost of coverage, so why aren't House Republican leaders at least making an attempt to address them? As the mandatory piece of federal expenditures consumes an ever-increasing percentage of the overall federal budget, Medicaid spending continues to rise within this mandatory piece. Many factors have contributed to skyrocketing Medicaid expenditures by the federal government, but much of this has not been to the benefit of those that Medicaid was enacted to help. In a press conference on Friday, President Donald Trump criticized the process that Congress used to pass the Consolidated Appropriations Act, H.R. 1625, although he signed the spending bill into law. Still, he threatened to veto a future spending bill that was packed with wasteful spending and unrelated legislative priorities.